Even though Rocket League has remained in the top 10 seller list on Steam since its July 7th debut, the price has been firmly in the list price range since release. Today it finally showed up for sale at third party retailer GMG, where you can take advantage of a site-wide 20% off coupon code and chop $4 off - the first significant discount on Rocket League from a authorized digital retailer. Accompanying it is ARK: Survival Evolved another indie title which has also strongly planted itself on the top charts. Other big game deal news this week includes a giant 25% off deal on next month's Metal Gear Solid V: The Phantom Pain along with EA/DICE's Star Wars: Battlefront. Both decisively Triple-A titles that can easily command the full retail price, let alone a 25% pre-order discount. While Battlefront has been confirmed to lack a single player campaign, you probably won't get much complaint as we're almost positive most user base will be multiplayer-centric (if they throw in bots we'd be oh-so-happy too). For those scanning the list above, notable deals includes Might & Magic Heroes VII plus the latest Civ:BE expansion, Rising Tide. If you can't wait for the eventual Civilization: Beyond Earth Complete Edition, this is a pretty good deal to snag up (since its around 32% off). 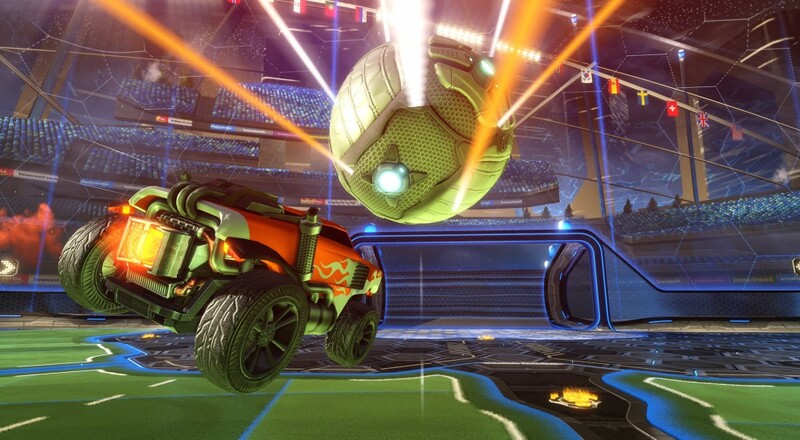 Play Soccer as a Monster Truck in Rocket League; Out TODAY! Page created in 0.2466 seconds.